Jason Hartman interviews director and co-executive producer Phil Leirness, about the incredible journey into conspiracy theories with Dean Haglund to create the documentary, The Truth is Out There. Phil talks about one thing that really resonated with him – on the one hand, there is no such thing as a conspiracy, that it’s just business as usual, while on the other hand, everything in the world is a conspiracy. Phil Leirness likes making films about things that make him angry, but how about finding out how these things that make us angry can work for us? Does the word “conspiracy” have to have negative connotations? Thus the idea for the documentary was born. Phil found that the word is most often used to marginalize the people that are trying to tell us something is happening that isn’t particularly good for us as a collective. For more details, visit: www.HolisticSurvival.com. Phil Leirness has always been a storyteller and by the time he graduated high school, he was a published film critic, a stand-up comic, and a television host. It was during that time that he realized he needed to become a filmmaker. He graduated from UCLA Film School and has directed five feature films, “The Party Crashers,” “Spectres,” “Till Do Us Part,” “Story of O,” and “Karl Rove, I Love You.” He has also written/directed almost 40 documentary short subjects examining the making of various feature films. From 2005 through 2008, Phil served as the Managing Director of international film distribution and sales company Cinema Arts Entertainment and its sister company, Artedis S.A. Prior to that, Phil served as the Director of Acquisitions and Development for Shadowland, the feature film division of Pasadena-based GOAL productions he helped found. During this time, Phil oversaw the development of the PBS documentary, The Great Year. In addition to filmmaking, Phil, along with Dean Haglund, co-hosts the weekly podcast show “Chillpak Hollywood Hour” on the Farpoint Media Network. Jason Hartman: Welcome to the Holistic Survival Show. This is your host, Jason Hartman, where we talk about protecting the people, places and profits you care about in these uncertain times. We have a great interview for you today and we will be back with that in less than 60 seconds on The Holistic Survival Show. And, by the way, be sure to visit our website at HolisticSurvival.com. You can subscribe to our blog which is totally free, has loads of great information, and there’s just a lot of good content for you on the site, so make sure you take advantage of that at HolisticSurvival.com. We’ll be right back. Narrator: Now is your opportunity to get The Financial Freedom Report. The Financial Freedom Report provides financial self-defense in uncertain times. And it’s your source for innovative forward thinking investment property strategies and advice. Get your newsletter subscription today. You get a digital download and even more. The price, only $197. Go to JasonHartman.com to get yours today. Jason Hartman: It’s my pleasure to welcome Phil Leirness to the show. He is the director and co-executive producer for a documentary entitled The Truth is Out There. And we’ll be examining conspiracy theories and all kinds of interesting stuff during this discussion. And he attended UCLA film school and just has an interesting take on this and also a rather humorous take I believe at times. Phil, welcome. How are you? Phil Leirness: Thanks, Jason. Yeah, I’m doing quite well. I think if we can, no matter how crazy things get, if we can manage to take our work seriously without ever taking ourselves too seriously, I find that almost every day is a pretty good one. Jason Hartman: Well, the show is rarely humorous. So if you want to throw some humor in, that would be a nice change. So tell us about The Truth is Out There, the movie. What is it all about? Phil Leirness: Well, it was kind of motivated by a few different things. I like making films about things that make me angry and what was making me angry around summer of 2009 – I guess it was at least 2 years ago now – was the public health care debate was waging. And I found the tenor and the quality of that debate to be just unnerving. And I’m going to exaggerate and I’m going to do it for humorous effects. I acknowledge that up front. But person 1 in this debate might say something along the lines of, you know, Jason, I would like a strong public health care option and then you might respond with “That’s interesting.” You know, “Obama has no birth certificate” and then all meaningful discussion was out the window altogether. And that’s what I kind of felt like everything got. Everything devolved into conspiracy talk and we never had any conversation about what do we expect from a health care system? What do we mean by health care? What do we mean by health? Why is it called health care and never health cure? What role does nutrition play in this? What are we gonna do about pharmaceutical companies? No meaningful discussion could take place and it just was driving me nuts. And at the same time, it’s really easy to make a movie about things that make you angry and just to vent your anger. What is far more transformative and I think therefore potentially far more valuable is if we can find out how that thing that’s making us angry actually serves us in some way. So I decided it would be really fun to make a movie that tries to answer the question what does it mean to seek the truth in a world where either conspiracies or conspiracy theories are everywhere, in a world where you can find wildly differing opinions no matter the topic. And at the same time I’d had the great good fortune over the previous decade or so to get to know and work with a wonderful stand-up comic, painter, inventor, Dean Hagland who is best known for having played one of the computer hacking lone gunman on the long running TV series The X-Files and in their own spinoff series. And he continues, almost 10 years after that show went off the air, to be not only identified with that particular role, but with the whole realm of conspiracy. So I thought who better to follow into that world than this man who still identified with conspiracy and conspiracy theories, and with a trained improv comic, a man who I think embodies the real skillset of the 21st century, mainly the ability to walk into the world with our arms held wide open, unafraid to say yes to all the possibilities, to hold all those possibilities and to see what we can take from each of those possibilities in an effort to create something worthwhile. Jason Hartman: So what did you examine in here? Did you examine the healthcare debate? Phil Leirness: It’s so funny. When you make a documentary, I know more and more documentaries are scripted in advance and I know this from my days as a production executive working on PBS documentaries for example. Most documentaries are scripted and most are scripted from the point of view of the people putting up the money. What I always believed was really exciting about documentary filmmaking and something that we truly embodied on this was to simply begin by asking questions and move forward asking questions without that need descripted in advance. That said, boy, this is a different movie than we set out to make. Originally, we though, okay, you know what would be fun? We’ll count down Dean Hagland’s top 10 favorite conspiracy theories and we’ll examine those and hopefully find out how conspiracy theories operate, how they serve us, etcetera. So we started doing the research and the interviews on the first topic and what quickly became apparent to us was that we need to scrap that whole idea because just following Dean Haglund around the world, people constantly come up to him with their theories or with the latest information. He’s friends with so many of the really brilliant minds, brilliant historians, brilliant scientists, and, yes, brilliant conspiracy theorists. So what started to unfold was this rather bizarre and at the same time organic past that was just revealing itself to us as these people would then introduce us to other people. And about 9 months into our 15 months of shooting, it became quite clear that this film was going to end up being an epic, not only of conspiracy but also equal parts comedy and consciousness. And the finished product, I’ve never seen a movie like this to be honest with you. Its structure is actually spherical in nature where it relies on the audience to draw connections and it’s the sort of film where no two people will have the same experience at all watching it. And that’s very exciting. Jason Hartman: So is there a point of view in here? 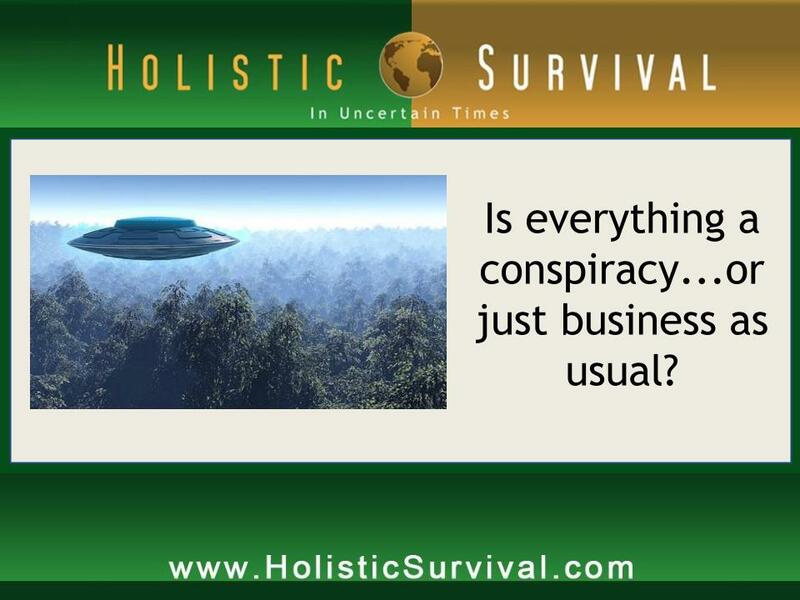 Do you think something is a conspiracy that our listeners should know about? Phil Leirness: So you’re asking what do I believe? Jason Hartman: Yeah. Or what does the film tell people maybe? What conspiracies are out there? Tell us about some conspiracies already. Phil Leirness: We discuss many. Boy, it’s not a short list. And we don’t just pay lip service to them. We really get into depth on conspiracy theories ranging from the existence of extra-terrestrials to UFO technology to the conglomeratization of our food supply to what they’re putting in our water to the new world order to a global banking conspiracy, water rights. Jason Hartman: I mean I believe in a few of those conspiracies. What did people find out or what did you find out I guess from making the film? Do they exist? Phil Leirness: How can you enter into this without learning so much? One of the things that I found most compelling is this concept that was echoed by several different people. And this was so much fun – when you’re traveling the globe, talking to so many different people, and when you hear certain things echoed form people who don’t know each other, who have no connection, who aren’t even aware of each other’s work. And when you think of the planet, it’s this globe – it’s much like the human brain, it’s separated into hemispheres. And making these connections between people in their stories in different parts of the world was truly like connecting synapses in the brain. And it’s very much that kind of experience. You learn so much and you make so many new connections. One of the things that really resonated and really was kind of exciting to me was this concept that was expressed that there really is no such thing as conspiracy. There’s simply business as usual that if you can find out how a particular business operates, let’s say, it may be really ugly. You may not want to know how the sausage gets made. But once you understand their bottom line, it really isn’t conspiracy, it’s business. It may be ugly, it may be dark, it may be inhuman. It also is just the way the business operates. And what I found fascinating about this was that it’s matched by a counterpoint belief that everything is conspiracy. Everything in the world is conspiracy and they’re very much two sides to the same coin. Jason Hartman: Well, maybe what’s worth doing here is just defining conspiracy – what you mean by conspiracy when you say that – people throw that term around in a somewhat cavalier fashion. To me a conspiracy is just more than one person being involved in a deal. You got two or more people and that’s a conspiracy. Jason Hartman: I mean there are all kinds of alliances and deals where companies get together, individuals get together, trade organizations get together. I mean are those all conspiracies? Phil Leirness: Well, perhaps. And the real question is does conspiracy need to be dark and nefarious? Is there anything negative automatically with it? The word does not have intrinsically necessarily negative connotations. How about the making of this film? Me and my partners, Dean Haglund, who is my co-executive producer and the star, and our producer Lyle Skosey, we were three men who conspired to inspire through this exploration. So I love the question because I’m a strong believer that we need to reclaim words and that we need to use words specifically. And also, I find that too often the word conspiracy or conspiracy theorist gets thrown to marginalize people who are simply trying to point out that something that does not serve us is taking place. Jason Hartman: Oh, yeah. It’s completely unfair. A lot of people have exposed real conspiracies that are hurting people that they’ll marginalize them and say that’s a conspiracy theorist, they’re just nuts, which I think is unfair. Phil Leirness: I find it fascinating, Jason, that right now Ron Paul is getting some interesting play that really kind of has me shaking my head. Jason Hartman: Ron Paul is who the country wants to be president, yet the media won’t let him be president. Jason Hartman: He’s totally consistent. He seems to be the most honest politician out there. Phil Leirness: And when he first started on this path, for the very things he’s being applauded for now, he was marginalized back then for the very same things that he’s being applauded for now. He was shunted to the margin like he was some crazy guy for talking about things like debt and the spending. And now that we’ve finally caught up to him on those topics, now we want to bring him back into the middle and yet, oh, it’s too bad that he has these fringe ideas. Well, we collectively were the ones that shunted him to the fringe in the first place and now we’re saying, oh, it’s too bad he has all these fringe ideas. And so no matter which way you look at it, we’re culpable for putting him on that so-called fringe instead of having listened to him in the first place, instead of really being strong enough to listen to ideas that might threaten our sense of safety and our sense of belief in things. So it’s really interesting the time that we’re in. 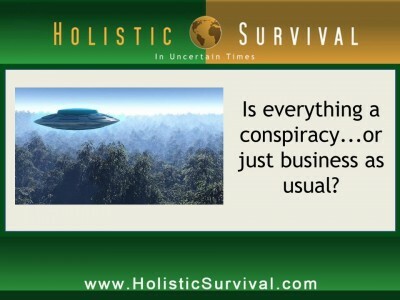 Jason Hartman: So Phil, tell the listeners, though – let’s hear about some of these “conspiracies”, could be costing people money, hurting them, and any thoughts you might have about how people can protect themselves or not be a victim of the conspiracy? Phil Leirness: Well, again, what I love about it is that it gets right back to this issue of there may not be conspiracy, there’s just business. And one of the things that we’re talking about doing, actually, two follow-ups to the truth is out there. One is about ancient wisdom. And then the second is going to be a whole film about inventions or applications or cures or remedies or products that people, individuals through their own ingenuity and, by the way, through their own personal need have developed, things that are often simple solutions to complex problems that nevertheless will never become or almost never become widely known because they don’t fit into the preexisting or serve the preexisting commercial marketplace. I forget who it was – it was someone much more brilliant than I no doubt – who once said that the economy is always 75 years behind the technology. And you look at the work of Tesla – and I find Tesla who we talk about in the film to be a really fascinating model. To a real degree, we’re only catching up now with where he achieved success a century ago. Jason Hartman: Right, right. It’s funny because one of my engineer friends when I asked him about Tesla, he said oh Tesla was brilliant but crazy. That was instantly marginalized, you know? Jason Hartman: Crazy then is different than crazy now. Phil Leirness: Well, exactly. And it has to be defined by how it kind of fits in to what is the accepted standard. And let’s face it, there’s a lot of really good ideas in every business that get rejected as being crazy because they’re outside the accepted standard. I’ve had the same experience in my own bailiwick of filmmaking and film distribution. When I was working as a distribution executive, I saw the writing on the wall, but the next time the economy took a downturn and I saw the credit crunch coming, I knew that for the first time the entertainment industry was not going to be recession proof, that it was going to hit hard because of the greed and the shortsightedness with which so many companies were being run. So I started coming up in advance with alternative ideas for distribution, alternative methodologies. And I was doing my research and I was presenting these to executives at my own company and to other companies and the response was always “Well, you’re really smart guy, but this is not how we do business.” And I would try to say “Yeah, but the way you’re doing be business, it’s days are numbered”, right? Then the credit crunch comes and a year later I go into the same people, present the same ideas. They look at it and now they’re entertaining them. In the midst of chaos, people will listen to good ideas, but then they stopped themselves and said “Oh, but if this was as smart as I think it is, why wouldn’t we already be doing it?” So we want to make this film about all these great things. I mean the truth is no matter what problem you might be facing, people have faced similar problems. You might feel very alone in what you are facing. We often do, right? Other people have faced what we’re going through. And if we can find a way to reach out to them, if we can find them, you know what, I think in most cases some people have actually come up with solutions. So solutions are out there, be it, again, an economic system, be it a health problem, be it a food supply. There are a lot of brilliant inventive people and there are many, many solutions. There are a couple of, for example, cancer cures discussed in The Truth Is Out there. And the only nervousness I had in including them was I didn’t want to send the message that these are the cures for the cancer as if there were only two. I think nature is replete with possibilities, is replete with answers to our problems provided we actually let there be enough nature to present those answers to us if we stop stripping down the rainforest and things like that. So this is my answer to my question. Reach out to people and talk to people and engage in conversation. There is amazing stuff being done no matter the field. There really are. And, of course, find ways to protect yourself because there are always people trying to prey upon our need for hope and our need for solution. Jason Hartman: That’s what I’m asking though. What conspiracies – and we’re just using that term because that’s the topic – did you find or look at in the film? And any advice specifically? What can people do about them, whether it’s health issues or financial…Maybe financial is the most interesting to our audience potentially. But I think Wall Street is a rigged game for sure, the banking system. It seems like the little guy doesn’t have a real good chance nowadays. Phil Leirness: At the risk of cliché, I think what kept coming through again and again to me was that we truly need to be the change that we need to see, that no matter what the conspiracy is that you’re seeing, if you see people working under cover of darkness, conspiring to hide things or whatever it is, then be the change that you wish to see and live more in the light. Be more open, be more honest. If what you see is a Wall Street that cannot be trusted, that based on an entire banking system as our mutual acquaintance, G. Edward Griffin, talked about so passionately. Jason Hartman: We’ve had him on the show, yeah. Phil Leirness: And he’s in the film. If it’s based upon this game…The banking conspiracy, the cartel that G. Edward Griffin talked about, the cartel arrangement of the federal reserve system, it’s such a fascinating story. And the truth is people have to take responsibility to not try to find out how they can make this game work for them. They have to try to find their own real economic footing. And this is what we’re trying to do really with how we’re distributing the film. We’ve got to stop trying to figure out how we plug in to a system that we know is at best irreparably flawed and, at worst, a house of cards. And we have to build it ourselves, each and every one of us every day. Announcer: What’s great about the shows you’ll find on JasonHartman.com is that if you want to learn about some cool new investor software, there’s a show for that. If you want to learn why Rome fell, Hitler rose and Enron failed, there’s a show for that. If you want to learn about property evaluation technology on the iPhone, there’ s a show for that. And if you’d like to know how to make millions with mobile homes, there’s even a show for that. Yep, there’s a show for just about anything only from JasonHartman.com or type in “Jason Hartman” in the iTunes Store. Phil Leirness: We cover so much of those in there. You gave me three pretty big targets – I don’t know which one to go at first. With Wall Street in the film, our focus on it truly was the issue of, oh my goodness, Wall Street had this problem, the government has to bail it out or won’t it be horrible. But then where does this money come from and who does it benefit that they’re bailing out and is the whole game just about the interest that can be made once it trickles down into the commercial banking system, because it all does come back together to the way a certain business is done. And, also then, how that is tied into this sense of collectivism versus let’s say a sense of individualism. So all of this does get discussed in the film. Also, a great deal about the food supply and about pharmaceuticals because really those were the passionate areas for me going into the film. And, as I learned while making the film, even though he’s very much an expert on so many of these theories, that was where Dean’s real passion lied to was in terms of what’s being done to our food steps, how it’s being engineered and why. So, yes, we cover those a great deal. And, just between you and me, sometimes I feel like I was sort of maybe put on this Earth to someday do battle with the pharmaceutical companies. Jason Hartman: I wonder on the food supply issue if really there isn’t a concerted effort to engineer a cancer problem and an obesity problem into the system, because those two industries, the cure industry, is so big and there’s just a lot of money to be made from causing a problem and then solving a problem. Phil Leirness: As a journalist in our film points out, conservatively a person dying of cancer is worth a half million dollars. And why haven’t we cured cancer? Well, Dean and I were writing a screenplay that came dangerously close to getting produced a few years ago about an inventor who had in the 1930s invented a way to cure cancer and several terminal diseases, had a dinner held in his honor by the AMA called The End of All Disease Dinner back in 1931, and so naturally we don’t have his invention in play today because what we discovered was in this country, in this day and age, if you cured a major disease, we would become a third world country overnight. It would destroy our economy because so much of our employment is based upon that. So much of our gross national product is based upon it, so much of our growth. And so you can’t just introduce a cure, because, again, it’s worth too much to our society. I think the most telling thing is that we all, even those of us who would be inclined to say, you know what, no one’s giving us these illnesses intentionally. Even those who would be inclined to say that, I think it says a lot about where we’re at that everyone would entertain that thought. No one’s gonna dismiss that thought out of hand. They may come down on the other side of it and say, no, I just can’t believe that at people. But it’s a thought that everyone can entertain and that’s very telling. I think, at best, we are a clever species and we’re constantly looking for a better way to build a widget. We’re constantly trying to show ways to prove our cleverness and the problem with that is we sometimes lose sight of very simple truths that sometimes the best way to solve something complex is with something very simple. It doesn’t take great cleverness. I’m struck by how indigenous tribes throughout the world often refer to the white man, to the industrialized world, as their little brother. And it’s really touching to me how many indigenous people feel they failed us because they’re the older brother. And the older brother’s job is to be patient with the little brother whose job it is to be clever, but also to teach the wisdom of the parents, of the mother in this case – mother earth. And so they feel they’ve failed us because we’ve just done what we were supposed to do which is to constantly prove how clever we are. But in my own personal life, I gotta tell you, when I start to identify too much with how clever I am, that’s exactly when I’m getting into trouble. Jason Hartman: Well, this kind of reminds me of what Napoleon says, “The most dangerous moment comes with victory” and thinking you’re clever is sort of a victory idea. It’s kind of the same concept. Phil Leirness: Absolutely. And so you think let’s think that nobody had any nefarious purposes behind anything. Let’s just say, hey, wouldn’t it be great if we could take the assembly line methodology and apply it to food supply? We could feed so many more people so cheaply? I mean there is a way of looking at this which is to say that the food supply was engineered in such a way simply to keep it incredibly affordable for decades so that people could eat affordably. Jason Hartman: And that is true. That really has been accomplished. I mean if you look at food costs, even with inflation, of course they’ve inflated a lot recently, but overall, compared to 100 years ago, I mean food is just cheap. And to some extent, this mass farming and so forth has completely eliminated almost starvation. Phil Leirness: And, at the same time, there is a high cost for that low priced food. Jason Hartman: And the high cost is maybe environmental issues, health problems. Phil Leirness: Health problems, etcetera, yes. And so to a certain degree, here’s where I come down on these things. I know off air you were asking me where do I come down on sides of the issues and I constantly try to come to a place where I can invite people to share their own unique insights and their own unique excellence so that we can hopefully start to take the best that each of us has to offer to find answers to some of these solutions and I think it is upon us in society to do that because who else is going to do it? And I find with this that, to a degree, whether it was being done or is being done for malicious or nefarious purposes like we want to give people cancer because we can make money off of it, or whether it is just a byproduct of, as we’re saying, the cleverness and, hey, wouldn’t it be great if we can make it all really cheap? And here’s this fantastic new scientific way we found to keep it cheap without knowing what this scientific way was going to do to our bodies. Hey, isn’t it great? We’ve got a pill that takes away the pain that you have without actually knowing how that’s going to affect other healthy parts of the system. To a degree, it doesn’t matter to me. To a real degree, it doesn’t matter if it was done for nefarious purposes or whether it was just done through blind cleverness and a desire to help. It doesn’t matter because the truth is we can all agree on what the problems are. So what the aims were, what the intentions were, let’s move beyond it. Let’s stop saying why it happened or how it happened and let’s just start to talk about what we’re going to do about it. And the film climaxes with the 9/11 conspiracy because Dean Haglund himself found himself, if you’ll pardon the expression, at ground zero of the 9/11 conspiracy theories and truth movement because the pilot to his television show, The Loan Gunman, involved the three of them being trapped on a hijacked airliner that was being flown into The World Trade Center in order to blame it on Islamic terrorists so that we could bring in a war on terrorism. And the show aired 6 months before 9/11. And so there’s many theories about that and of course he has a real emotional story to tell about what was it like to be a part of that and then to see it happen, and then of course the writers and all of this. But there’s this real belief in the part of the 9/11 truth movement that of course our government or portions of our government brought these buildings down. And this is another case where I find siding on one side or the other of the issue to miss the point almost entirely. Because, to me, the official story is the idea that terrorists hiding under cover of darkness plotted to bring these buildings down in order to instill such terror in us that we would willingly give up our own liberties in the name of being safe. The conspiracy theory is that members within our own government conspired under cover of darkness to build these building down, to instill so much terror in us that we would sign off on these wars and willingly give up our own liberties. Jason Hartman: Just my sense of the whole thing, from a very simplistic standpoint – and I’ve watched a lot of the documentaries and read a lot of the stuff about the truthers as they call them – and I really haven’t decided where I come down on that but I do have questions. But I will say this. If terrorism was such a big deal and it really was such an issue and if they were so out to get us, it is so easy to. I mean there are so many gaping holes in our whole system and our whole society, so many vulnerabilities. I mean why hasn’t there been another attack? I mean come on. Phil Leirness: Getting back to the point, though, Jason, those two stories are exactly the same story. The official report and the truth of the story are the same story. All they’ve done is replaced who the villains are. Jason Hartman: Explain that. What do you mean by that? Phil Leirness: As I just said, the official story is that these people, terrorist, conspired under cover of darkness to bring these things down to scare us into giving up our own rights, and the truth theory is that it was people with our own government conspiring under cover of darkness to bring these things down so we’d be so terrified that we would give up our own rights. So it’s exactly the same story. It’s just different villains. And it’s a boring story to me. The interesting story to me is how do we respond to acts of violence? What is the healthy way to respond to that? A more interesting question to me is how can we ever sign off on a war so long as we know there are powerful economic interests that stand to gain off those wars? Jason Hartman: As long as we have central banks, if you ask me, we’re going to have wars. I mean we just have to. Phil Leirness: And isn’t that the question? It’s so amazing when you think back about Howard Hughes being called before the congressional panel being accused of being a war profiteer. 6-7 decades ago, the thought of being able to profit off war was thought of as un-American. And now war is fantastic for business. Jason Hartman: It’s not fantastic for the world. It’s a waste of money in the economy because there’s no value created. But, boy, if you’re a central bank or an arms supplier, it’s a great business for you. Phil Leirness: And, believe me, we talked to so many of the truthers, and we have them in the film. And I love them, and I love the passion and I love the activism. And I love that they’re forming community over the idea of seeking the truth. What I just caution against is the idea that we need to prove a theory so that people won’t fall for something again. I think there is a way to get people to see a better way without necessarily needing to prove that a particular theory is right. I think there is a way to appeal to the better angles of everyone’s nature that doesn’t necessarily make it a divisive issue. Jason Hartman: Well, that’s a good wrap up. Give out your website if you would and tell the listeners where they can learn more. Phil Leirness: Well, there’s two websites, Jason. For the film, they can learn more about the movie, The Truth Is Out There, at a very unwieldy sounding website. It’s Truth-Is-Out-There.com. I think if you just go to TruthIsOutThere.com you get something about how the rapture has taken place – I’m not quite sure. And of course Dean Haglund and I host a weekly show called Chillpak Hollywood Hour. We’ve done so for more than 4 years now and people can find it ChillpakHollywood.com. And we talk about many of these issues and a heck of a lot about show business and entertainment news and movie making and comedy and how the media tackles issues like what you and I have been talking about for the last half hour. And we do that every week. Jason Hartman: Fantastic. Well, Phil, thanks so much for joining us today. We really appreciate hearing about the film and hopefully everybody will go take a look at it. Phil Leirness: Thanks, Jason. I appreciate it so much. Keep up the great work.